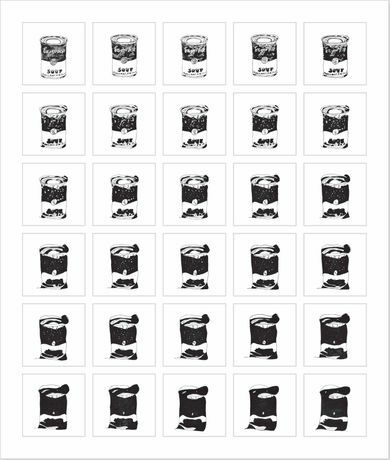 New solo show from artistic duo Rob and Nick Carter that examines the transactional relationship between eastern and western image production. 'Chinese Whispers' is a witty series of over 20 works drawing attention to the larger issues relating to image perception between the East and West as well as troubling the issue of authenticity of art. The show plays both with the west's idea of eastern image production and the changing face of the east as the centre of production in the global marketplace. 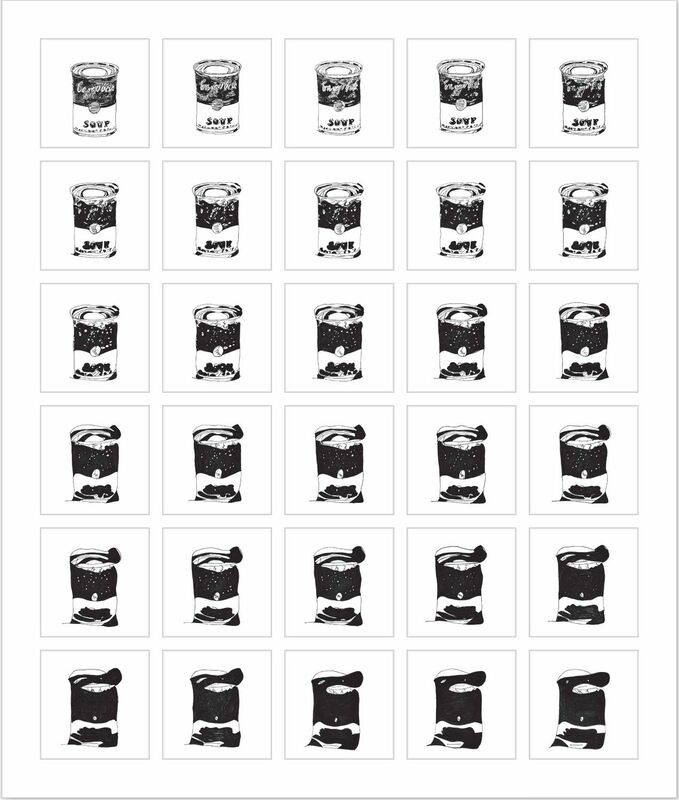 For the exhibition, the Carters selected various Warhol drawings (including the Campbell's soup tin, Coca-Cola, his images of David Hockney and Paul McCartney, Superman, and Warhol's celebrated piece, The Last Supper) and sent these to enormous art factory workshops in southern China, where artisans were given no specific instructions other than to produce the best possible copy they could. The hand-finished copy was then sent to another unsuspecting artisan to copy and so on. The result is a series of commissioned drawings each based on the last in line, in the form of an artistic Chinese whisper. The Carters have brought together each individual work to form a large sequential collection that is entirely unique. With the slight variations and mistakes made by each artisan adapted and built upon for the next image, the process of transformation and permutation becomes the narrative of each series of images. Arts writer, Sacha Craddock, writes in the catalogue: "this series of work by the Carters, a departure in terms of technology and personal touch, still asks questions about time, about which moment out of every one reproduced is true and valuable. Is the idea still all when each individual artist involved has as much agency as a cog locked in step with its neighbour?" Rob and Nick Carter make work that stretches across a range of mediums, including painting, photography, digital and installation. Their work is housed in the collections of the Mauritshuis, The Hague, the Frans Hals Museum, Haarlem, the Victoria and Albert Museum, and the Royal Bank of Scotland, to name a few. Following their major solo exhibition Transforming at The Fine Art Society, 2013, their Transforming Still Life Painting was the first contemporary artwork ever shown at The Frick Collection in New York City.